One of Godden’s great strengths is she doesn’t get in the way of a good story. Whenever I read a book by her I feel thrown into another world from the first page. 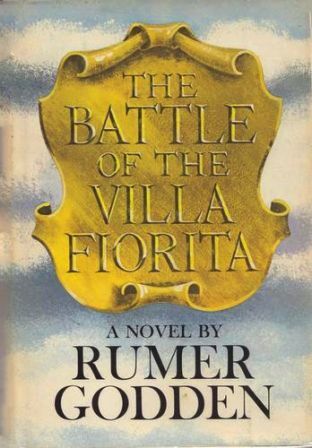 The Battle of Villa Fiorita was no exception; I was transported to Italy. Finding myself in the middle of high drama was confusing at first. It was difficult to keep track of the characters and what was happening, but by chapter three (or four) I was well acquainted with the characters and a lot of the backstory. The result of this immersion was a fascinating read, a plot that moved forward and an interesting development of characters. Villa Fiorita is a story about marriage and children, and yet it begins with divorce. Fanny has left her husband and their three children to be with her lover, Rob. The couple have fled to the Villa to begin their new life together. The Novel begins with two of Fanny’s children: Hugh (14) and Caddie (12), describing the Villa Fiorita. I always find Godden’s portrayal of children to be refreshing and surprising. Godden gives them a certain amount of autonomy without making them simply little adults. Hugh and Caddie have sold their possessions, plotted their escape and traveled to Italy on their own to fetch their mother. They are waging war against the couple. Later on, Pia, Rob’s daughter from his late wife, joins the battle with a fierce child-like independence. We keenly feel Hugh’s and Caddie’s intrusion as they observe and are shocked by the intimate details of their mother’s and her lover’s daily living habits. Godden is able to focus on the small details to show the depth of the problem of infidelity: their mother’s scarf, his driving gloves, his cigarettes by their bedside. Pia (a Catholic) is also appalled by the adult’s behavior. Her arrival ushers in ancient codes and the tension between Protestantism and Catholicism. In the novel children are at once the blessing and the safeguard of marriage. The story is also a coming of age story for Hugh, Caddie and Pia. They are all faced with a loss of innocence; they must confront their own desires, their own sexuality. Divorce has prematurely thrown them into the adult world. Godden successfully shows the absurdity of divorce while remaining sympathetic to the entangled characters. Regardless of Fanny’s wishes for remarriage, the marriage bond cannot be broken by mere desires; she knows that she and Rob are play acting. This is not simply a cautionary tale, it is more a study than a lesson. Much like Henry James’ The Bostionans, Godden’s The Battle of Villa Fiorita is exploring the most salient and peculiar point in it’s society, in this case – divorce. Another Godden novel to treasure and share. 1. 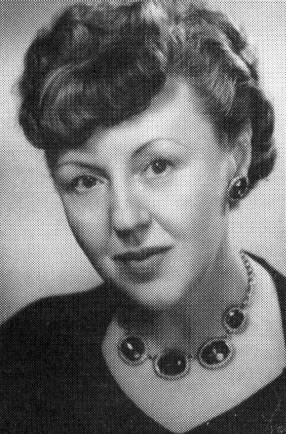 Rumer Godden. She did not convert to Catholicism until the year she turned 61 but she continued to publish novels for almost 30 years after that. Included in her post-conversion writings are two famous novels about women’s religious communities: In This House of Brede (Benedictines) and Five For Sorrow, Ten For Joy (Dominicans). Both are beautiful stories, both provide a glimpse of traditional communities touched by the first tremors of the cataclysmic changes that followed Vatican II in large sections of the Church. Earlier novels with significant Catholic themes include: The Lady and the Unicorn (about a struggling Anglo-Indian Catholic family), The River (the wise nanny is a Catholic), A Candle for St. Jude (mostly about ballet), and An Episode of Sparrows. Among her wonderful-to-read-aloud children’s books, The Kitchen Madonna has a Marian icon as its centerpiece. 2. Isobel English. Her novel Every Eye was reprinted by Persephone, an intricate little labyrinth of a book, in which alternations between memory and present experience lead at last to understanding and acceptance of the past — though the novel’s climax, in a weird and holy place, is approached only with trepidation. The beautiful prose sets a slow, attentive pace for what turns out to be a pilgrimage. Of her other novels, I have not been able to locate The Key That Rusts but I look forward to reading Four Voices someday soon. 3. Antonia White. Her quartet of autobiographical novels holds a special place in my heart. Nanda/Clara, the central character, deals with being a convert’s daughter, convent school (a world in itself and a lost world today), becoming a writer and the trauma of having her early work grossly misunderstood, tense and complex relationships with her parents, growing up an only child, the pull of the old pagan religion, catastrophe, violence, Bohemian life, invalid marriage and annulment, mental illness/madness and hospitalization. This is not St. Paul’s list of trials. 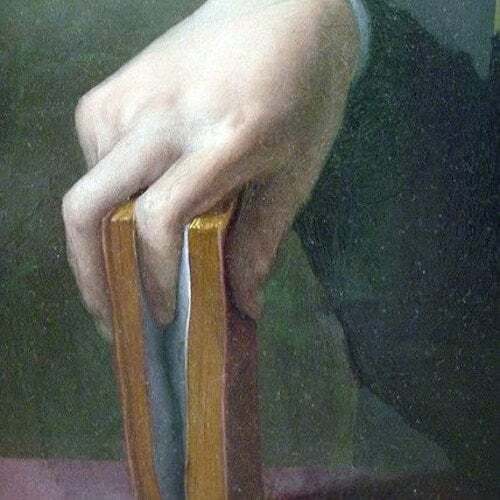 However, I found it powerful to see, amid challenges in large part specifically modern and characters thoroughly, humanly, weak, a vision of the unchanging Faith. And Clara, by being nearly completely broken, in the end is more than conqueror. 4. Alice Thomas Ellis. She died in 2005. Her style combines delightfully sharp satire with equally delightful lyric moments and the most exquisite hint of Welsh magic. Her lampooning of the modern world is balanced by a shrewd and ultimately loving insight into human nature. My favorites are The Inn at the Edge of the World, Fairy Tale, and The Summer House. The Inn at the Edge of the World and Fairy Tale I love for their juxtaposition of the discontents of today’s world with the world of ancient (sometimes benign, sometimes threatening) magic. The Summer House I love for the voices of the women who tell it and for its courageous and beautiful treatment of the sensitive topic of sexual abuse. 5. Caroline Gordon. So it may not be fair to call Caroline Gordon’s books (or any of the above, really) “chick lit.” We read her stories in grad school alongside Katherine Anne Porter, Eudora Welty and the most famous of American Catholic writers, Flannery O’Connor. I recently read The Strange Children. Here we have an almost uninterpreted story, near raw experience, with the advantages and disadvantages of a child’s viewpoint, in which the lives of skeptical intellectuals contrast with the “lower” culture of Protestant Christians who pray by the river, theatrically seek miracles for the sick, and handle deadly serpents. Into this world, the lone Catholic comes as a sign of contradiction. The South appears with a truth that only fiction can utter. I’ll want to be reading The Women on the Porch next.